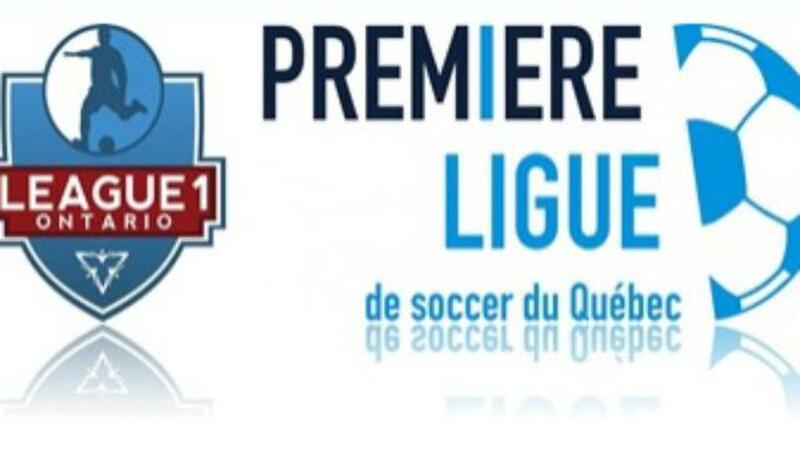 The leaders of Canada’s two professional Third Division soccer leagues are proud to announce the creation of an Inter-Provincial Cup Championship to be contested between the Champions of the Première Ligue de Soccer du Québec (PLSQ) and League1 Ontario. This is the inaugural season for League1 Ontario, which is sanctioned and operated by the Ontario Soccer Association and features nine teams: ANB Futbol, Durham United FC, Kingston Cataraqui Clippers, Master's FA Saints, Sigma FC, Toronto FC Academy, Vaughan Azzurri, Windsor Stars and Woodbridge Strikers. The PLSQ, which is managed by the Quebec Soccer Federation, has six teams: AS Blainville, FC Gatineau, FC L’Assomption-Lanaudière, CS Longueuil, ACP Montréal-Nord and CS Mont-Royal Outremont. The main objective of both Division III professional leagues is to fill the gap that has existed in the talented player pathway. Both leagues are committed to alignment with the recommendations found in the Canadian Soccer Association’s professional soccer viability report entitled “In A League Of Our Own,” as well as with the vision presented by the Canadian Soccer Association in its 2014-2018 Strategic Plan. This Inter-Provincial Cup Final will consist of a two-leg, home and away series. The first match of this historic series will be played at the Bell Centre in Brossard (8000 Boulevard Leduc, Brossard, QC) on November 1st at 8 pm and the second game will take place on November 8th at 8 pm at the Pickering Soccer Complex (1975 Clements Road, Pickering, ON).